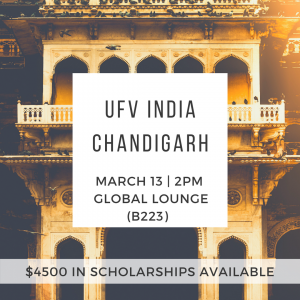 A representative from UFV India Chandigarh will be presenting to prospective and interested students who would like to know more about studying abroad in India. It will take place on Tuesday, March 3 at 2 PM in the Global Lounge (B223). The speaker will be available for questions and discussion following the presentation. 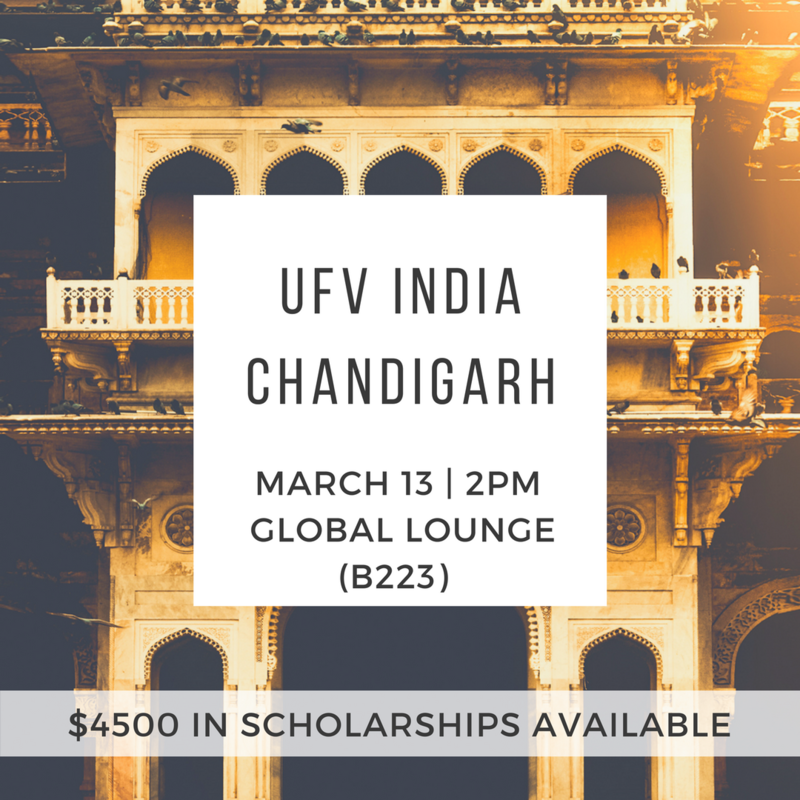 This event is open to all UFV students and there are $4500 in scholarships available for each student who studies in Chandigarh.